U-vend™ is our point-of-work vending solution. Our U-vend™ solution is connected directly to U-control™, giving you complete control and visibility of usage patterns. Management is able to quickly identify abuse, waste and other opportunities for improvement. 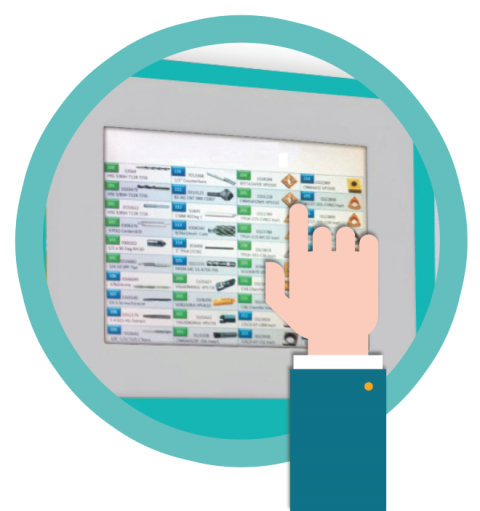 Controlled by touch pad screens with swipe card or pin access, U-vend™ provides the same high level of management controls available through any of our supply chain solutions. Supply is controlled via data such as machine number, part number, cell number, cost centre, employee number and other information. If high-use, high-cost and mission-critical items are conveniently available to the operatives who need them, output is optimised. U-vend not only ensures critical materials, tools, parts, components and supplies are available at the point of use, it also automates the issuing of items, re-ordering and replenishment processes – creating a highly efficient and productive process. When used in conjunction with our One-team™ fully managed on-site solution, the control of supply is unrivalled, ensuring maximum productivity. There is no software to install on your site, no servers to buy or maintain, and nothing for your IT department to support. Both U-vend™ and U-control™ are secure, robust, cloud-based services. All you need is a wired or wireless connection to the internet. Data flows seamlessly from your U-vend™ devices through to U-control™.